What do you do when you need a pallet of merchandise delivered on a Monday and it is Friday afternoon or even Saturday morning? You make the call to your new partner, with 24/7 access to over 800 pre-screened expedited carriers, and that partner is BlueGrace® Logistics. Your expedited load will be handled quickly, and comes with the added benefit of our amazing customer support, what we like to call 3PLTLC. We can quote with price and capacity within 30 minutes and all expedited shipments come with Macropoint tracking so you know where your freight is located at any time. Start simplifying your expedited freight with our technology and support today. If you ship freight, you know how it feels to be in a bind and need something delivered yesterday. With new carrier driving time regulations and government mandates, it is becoming harder to get those rush items shipped. That is why BlueGrace Logistics offers expedited freight shipping services. We have many options to meet your rush freight delivery requirements at a cost-effective price. Our expedited freight services are second to none. We offer 30-minute quotes on price and capacity directly, from over 800 pre-screened, local expedite carriers nationwide. With over 10,000 pieces of equipment from Sprinter vans and semis, to domestic air, we can handle any type of freight. Each shipment it tracked by Macropoint, so you always know where your freight is located. Your expedited quote and load will be handled quickly, and comes with the added benefit of our amazing customer support, what we like to call 3PLTLC. Add the fact that we are ready to assist 24/7 and you have great new partner. We have over 800 pre-screened expedite carriers with over 10,000+ pieces of equipment from Sprinter Vans to Aircraft. Your freight is tracked every 2 hrs for 1 day points, every 4 hrs for 2+ day points. You always know where it is. Our strong relationships with the nation’s leading LTL carriers, allows us to pass our LTL rates to our customers. 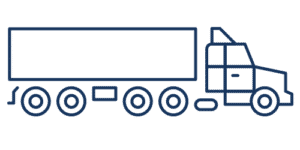 Simplify your LTL freight shipping process even more with our amazing support and free quoting. If your freight weighs up to 45,000 lbs. or uses up to 53ft of space, BlueGrace has you covered. With our nationwide network of carriers, we can handle any load that you have with amazing customer support. Are you looking to optimize your total freight network and supply chain? We offer data analysis of your current shipping costs and processes and can offer better alternatives to help reduce overall costs.